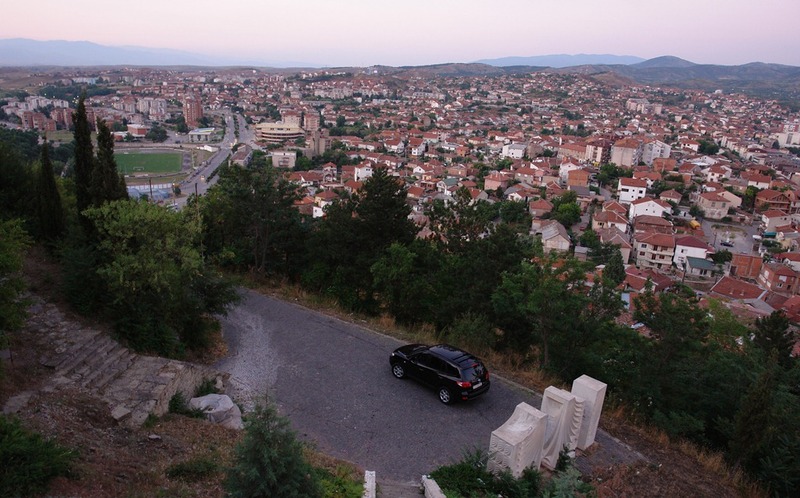 Štip is the largest urban agglomeration in the eastern part of the Republic of Macedonia, serving as the economic, industrial, entertainment and educational focal point for the surrounding municipalities. 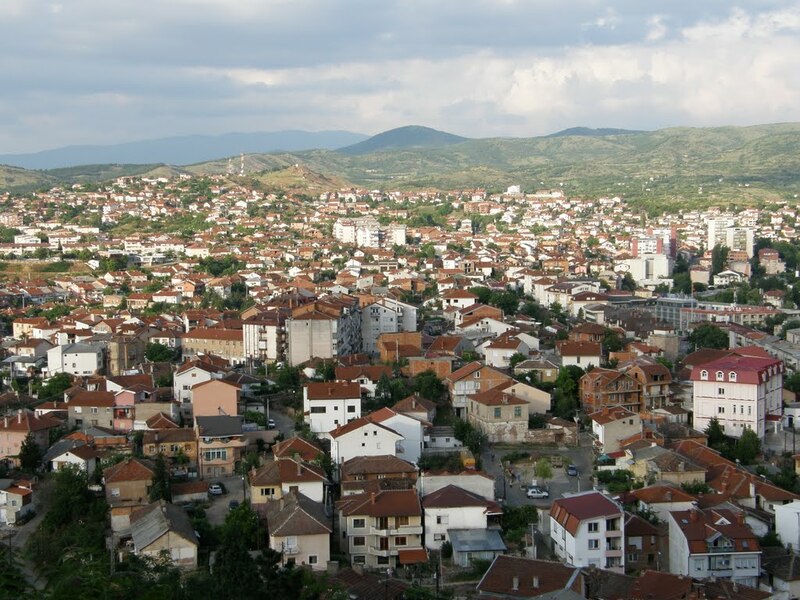 As of the 2002 census, the Štip municipality alone had a population of about 47,796. Štip is the largest textile production center in the country; Center of the fashion industry in Macedonia, as well as the location of the sole public university in Eastern Macedonia, Goce Delčev University of Štip. The city of Štip is the seat of Štip Municipality. 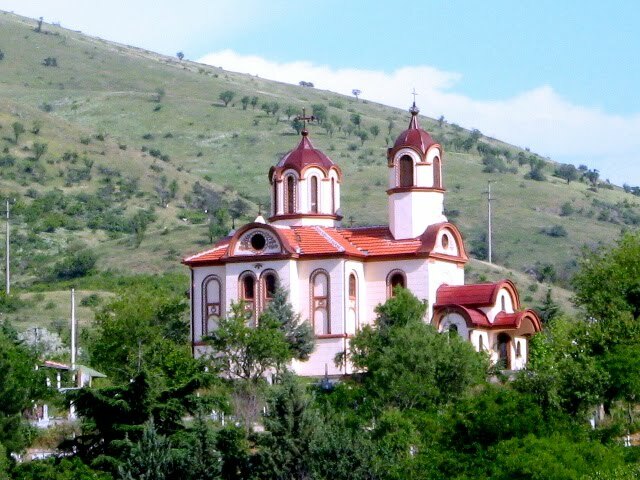 The first known opera performance in Republic of Macedonia was staged in Štip in 1925. The city is located at the intersection of the Lakavica, Ovče Pole, and Kočani valleys. 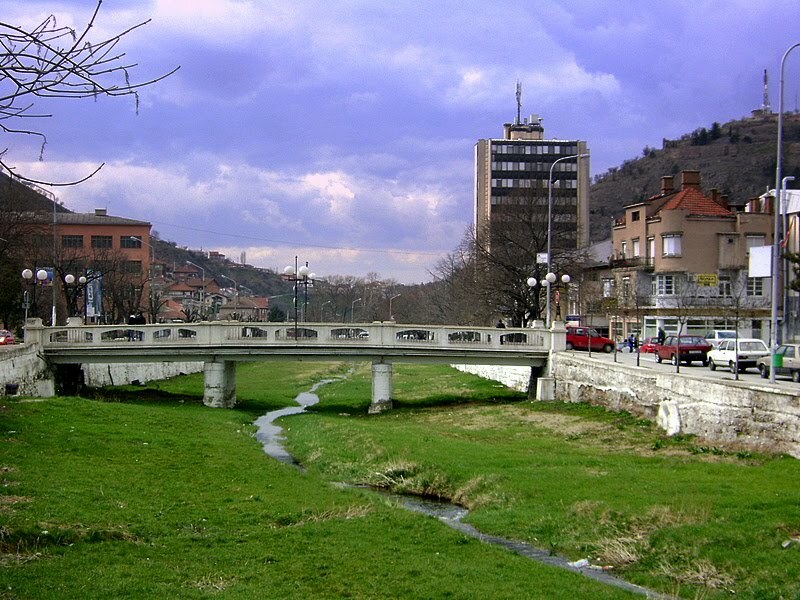 Two rivers pass through Štip, the Bregalnica which is the second largest in the Republic of Macedonia, and the Otinja which divides the city center. The hill Isar, with its early medieval fortress on top, dominates the city and provides for the common reference as "The city under the Isar'. The area surrounding the city is suffering from deforestation which is contributing to the temperature extremes, summers being hot and dry with mean temperatures around 32 °C (90 °F) and days above 40 °C (104 °F) being common. Winters are short (less than 2 months usually) and mild (though considered cold for the area) with normals around −2 °C (28 °F), but with occasional drops down to −10 °C (14 °F). 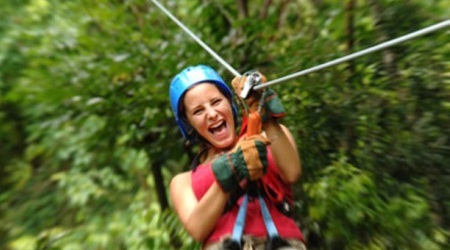 Spring usually comes in February, when most of the foliage is regenerating, although freak snow storms could appear as late as May. 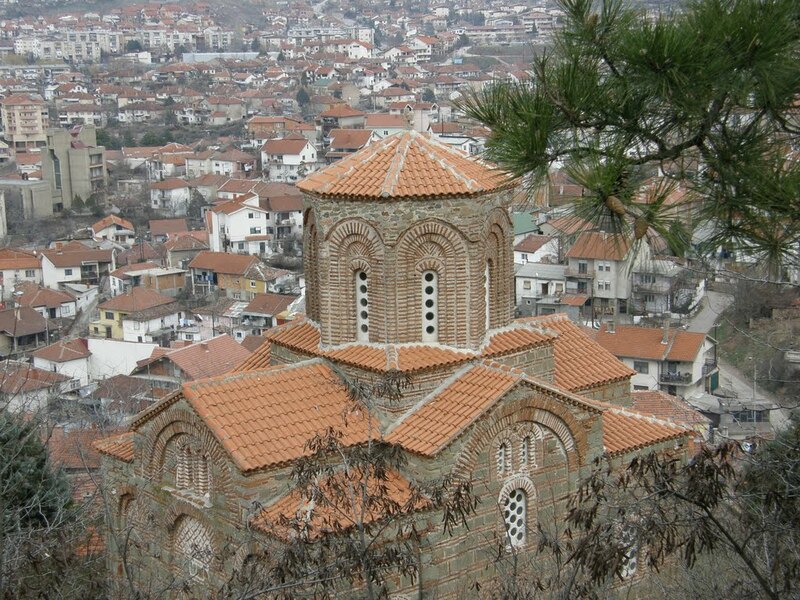 Štip (or Astibo/Astibos/Astibus) has its heritage in being the ancient capital of the Paeonian tribe who were situated in the region west of the fertile river Axius basin, around the fifth and fourth centuries BC. The two tribes that lived along the river Astibo, an estuary to the Axius, were the Derrones, named after their god of healing, Darron, and the Laeaeans, who minted their own heavy coins as a sign of their sovereignty following the example of the Greek city-states on Chalkidiki. Although these tribes were heavily weakened by the Persian invasion of 480 BC, led by King Xerxes I, they remained a formidable power and a well-organized people, renowned for the production of their exceptionally heavy coins with emblems including domesticated specimens of the wild aurochs for which Paeonia was also famous. They were absorbed into the Macedonian empire by Alexander I before 360BC. 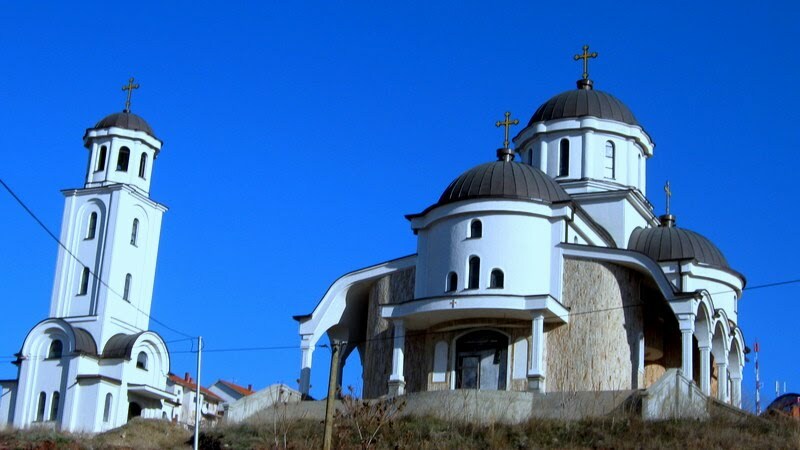 The area itself is first mentioned in the writings of the historian Polien form the 3rd century BC, who talks of a river named Astibo which is presumed to be the river Bregalnica today. Polien also states that the Paeonian emperors were crowned in the vicinity of today's Štip. The first mention in written sources of a settlement in this area is from the time of the Roman emperor Tiberius 14-37 AD, when it is mentioned as an important settlement in the Roman province of Paeonia and the second stop on the Roman road from Stobi to Pautalia. During the second half of the 3rd century BC the barbarian tribes, especially the Goths destroyed much of the northern settlements in the eastern part of the Roman Empire, among which Astibo as well. However, a new settlement - Estipeon - was soon founded on the same site which thrived though the late Roman and the Early Byzantine period. 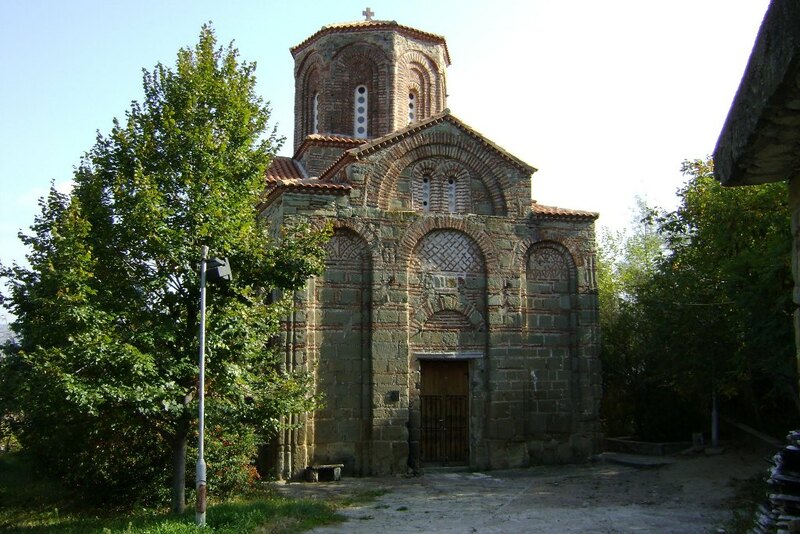 Between the 5th and 6th century AD the joint Slavic and Avar tribes attacks destroyed the Byzantine settlement, and the Slavic tribe of Sagudats permanently settled in this area, and gave the town its current name Štip. During the 10th century, the Saints Cyril and Methodius, after creating the first Slavic alphabet, came to preach to the Slavic tribes in this area before continuing their route to Great Moravia, thus the Slavic population from this area were the first Christians among the Slavs. Many rulers controlled the area of Štip during the early Middle Ages. On 6 April 1941, when the Kingdom of Yugoslavia was attacked by Nazi-Germany, the city was bombed by German planes which took off from Bulgaria. During the Second World War the Axis-allied Bulgarian forces occupied the city until early September, 1944, after which it was taken by German troops. Štip was retaken by the Macedonian National Liberation Army and the newly-allied Bulgarian Army, now part of the anti-Axis coalition on 8 November 1944. Thus 8 November is celebrated as 'Liberation Day' in the city and municipality of Štip, and is a non-working holiday. If you are considering to go with a bus u have u have a dozen of buses between Stip and Skopje.Time travel is 2 hours Price for one way ticket is 270 denars/4 EUR and two way tickets is 370denars/6 EUR. Note:If you are considering travelling on weekend and holidays please contact the bus station for any changes of the lines. If you like to go to Stip by train the time travel is between 2 and 3 hours.Price for one way ticket is 200 denars/3,2 EUR and for two way ticket is 320 denars/5,2 EUR. If you are not comfortable to travel by train or bus,you can always get a taxi.The price for one way is more or less 4920 denars/80 EUR. If you'd like to explore the land during your travel to you can go with a car or rent a car.Distance between Skopje and Stip is 86 km.